Shimla and a little beyond. 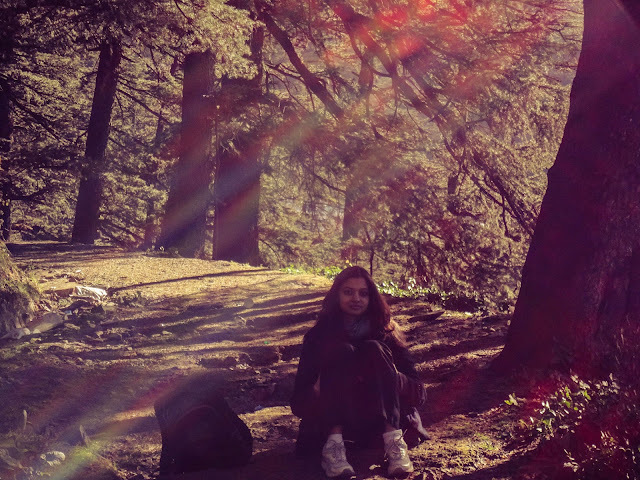 Shimla is more often than not on every tourists mind. We ( my sister and I ) were pondering where to go, and neither of us had been to Shimla. 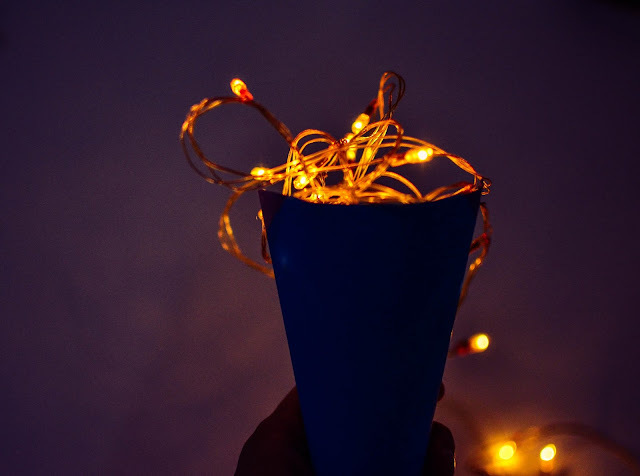 It was the Christmas of 2012 - and we were running late to book the transport and accommodation. On the 21st of December, we left Delhi from the Ramakrishna Marg Metro Station in a bus - we had booked via Makemytrip. It was a Friday evening and we were both super tired - we got in and just slept !!! Around 6 AM the next morning, we got out to a chilly 8-9 degrees cold. I was a little upset - the main bus stand was crowded and dirty. We walked towards the lift, which would take us to the mall road. Finding our hotel was easy - but I must mention, all the hotels were going full, and we had no other choice but to stay here. Sansar Hotel, not too costly, but too basic. We didn't quite like the place. Okay, so far, nothing great. Since it was so early, we slept again !! We had Maggi (obviously) for breakfast, and left the hotel to walk around a bit. The sky was clear blue and the pine trees had the most beautiful backdrop to boast. 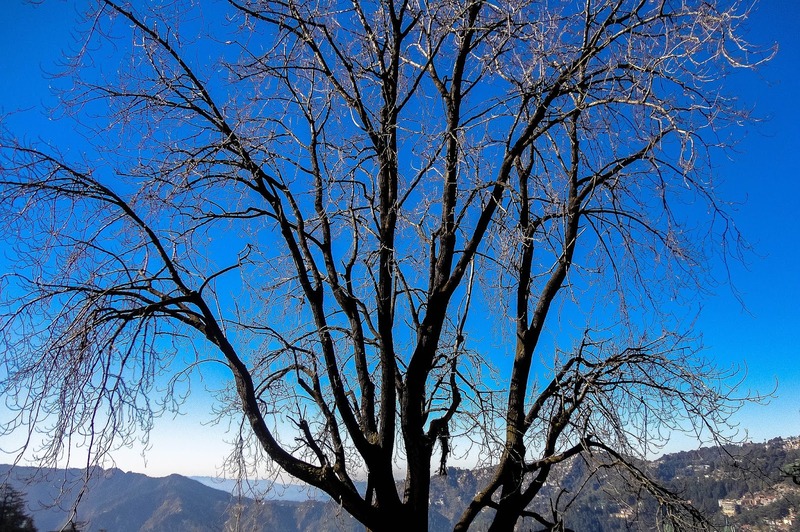 Have you ever felt your skin becoming whiter and clearer in the taazi hill station ki hawa ? While the sun shone a bit, the wind promised to send down chills down your spine. A thick coat and a cardigan were doing the trick keeping me warm ( and woolen gloves and woolen cap ). We walked on the main road for a bit, before we wandered on our own in some tiny by lane. We had found our spot ! It's almost like a painting. We were a little disappointed not to see any snow. In the evening, we went to Cafe Sol - we enjoyed the food and we recommend it. On our way back we asked around what we could do the next day. There were taxis taking tourists to Kufri / Narkanda / Chail / Solan. While most tourists decide to go to Kufri, we also added Narkanda - which is a little farther. And this was the best decision ever !!! Book well in advance - especially during the holiday season. 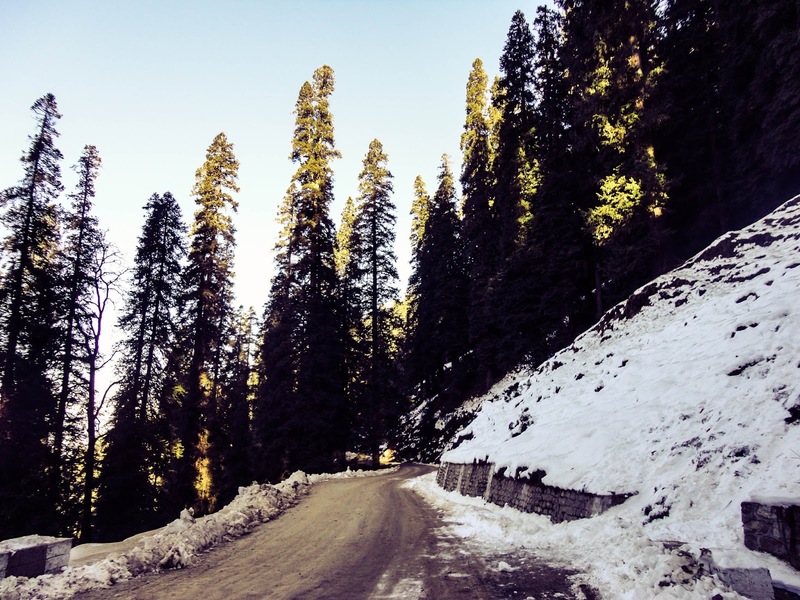 Your first preference to book both accommodation and the bus should be from the Himachel Pradesh Tourism Development Corporation website. On our way back, we booked a HPTDC Volvo bus. The experience was much better. You can check here. For the stay, something I totally missed out - check these out. As I said, ours was last minute and all these were full. The town looks gorgeous even by dusk. In fact, the colors are beautiful hues of orange ! 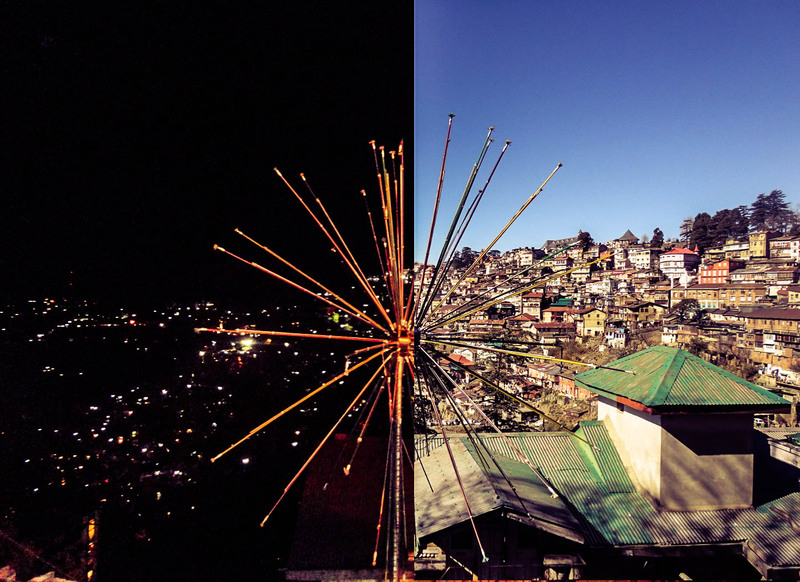 Shimla town - night and day ! The next day, our taxi guy came to pick us up early. We decided to first go to Kufri - and then to Narkanda. On the way, the taxi driver asked us if we would like to try ice skating. Apprehensive because we knew this was one of those places where the driver would get a commission for taking us there, we nonetheless decided to say yes. Somewhere on the way, we saw our first snow. We were beyond ecstatic. We had to touch it (obviously) and so the driver stopped the car. And I posed with white horses !! Our next stop was Hip Hip Hurray Amusement Park - he smartly hadn't told us the name - else we would have judged the place immediately. Keeping all the minus points aside, of it being too kiddish, a rip off and having too few rides, we enjoyed the ice skating. It was our first time, and we just kept falling. But what joy to glide on ice !!! My sister fell lesser, she knew skating. But oh gosh, I lost count of how many times I bruised myself. The view of the lower Himalayas - breathtaking. 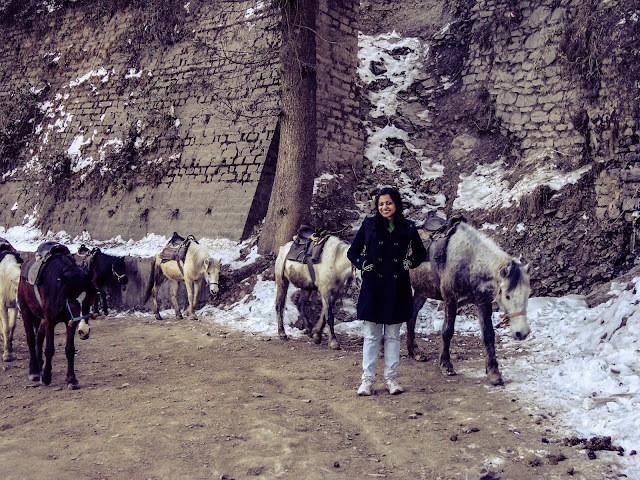 Next, we went to Kufri, which is infamous for its horse rides. If you've been there you'll agree with me. There are a hundred or more horses, some dirty, some clean, and the smell can be quite pungent - the horses seem to be on auto pilot walking up the narrow path, and sometimes, they can trot away from the main road. Your legs are bound to hit at least a few other horses on the way, haha, beware ! The ride can be quite unnerving, to say the least. But all in all, good experience. To pose or climb on to one, there's a small nominal fee - their way of making money. 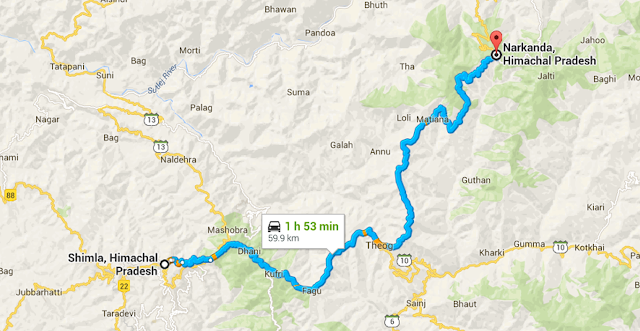 But the highlight of our trip was the drive to Narkanda and the final destination Narkanda. Our driver stopped the car by a hill where fresh snow had just fallen. 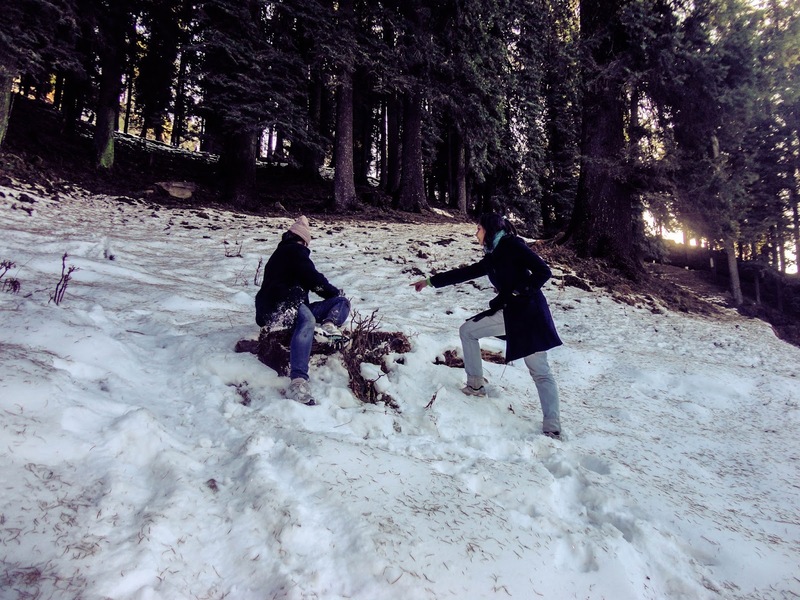 We played with a lot of snow and occasionally, stood quietly to admire the pine and deodar trees. On our way back, we stopped by the only restaurant in the area - The New Himalyan / Negi Dhabha - the food was really good. Where we stopped the car in Narkanda. We tried making a snow man - it's not as easy as you see in the movies ! I was tired, but I won't forget the feeling. 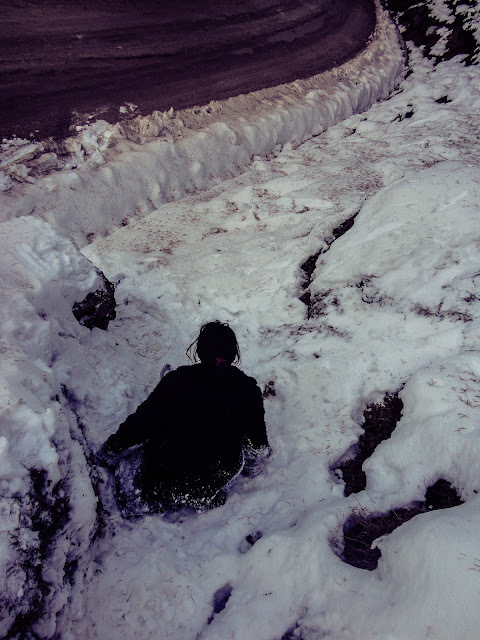 Sliding down snow was so much fun - you forget how cold it is. The next day, we wandered around the town of Shimla, not doing much. We were still excited about the previous day. We stopped by The Embassy Hotel and had some dessert. And then had a late lunch from the Indian Coffee House and left. Embassy does have a lot of negative reviews, but the view and ambiance are pretty good. If you've been to Embassy - you'll recognize this. The eaterie is full of these type of writings. The ice skating in Hip Hip Hurray is functional only in the winters. 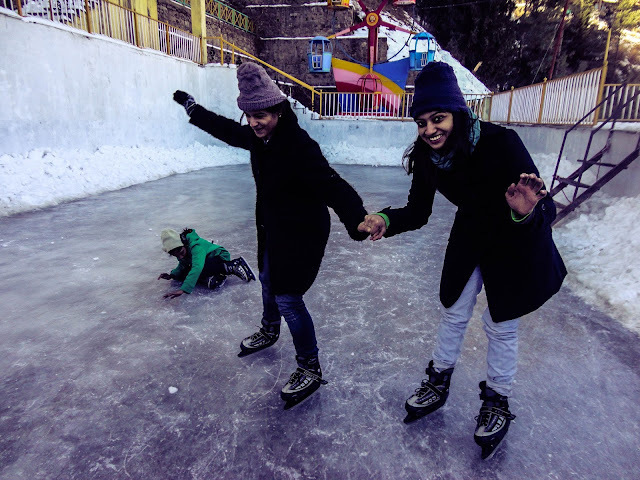 In fact, even the main Shimla ice skating rink opens only by December. If you really want to do ice skating, go between December and February. Whether you're driving yourself or hiring a taxi - be sure to stop and take in some beautiful views. 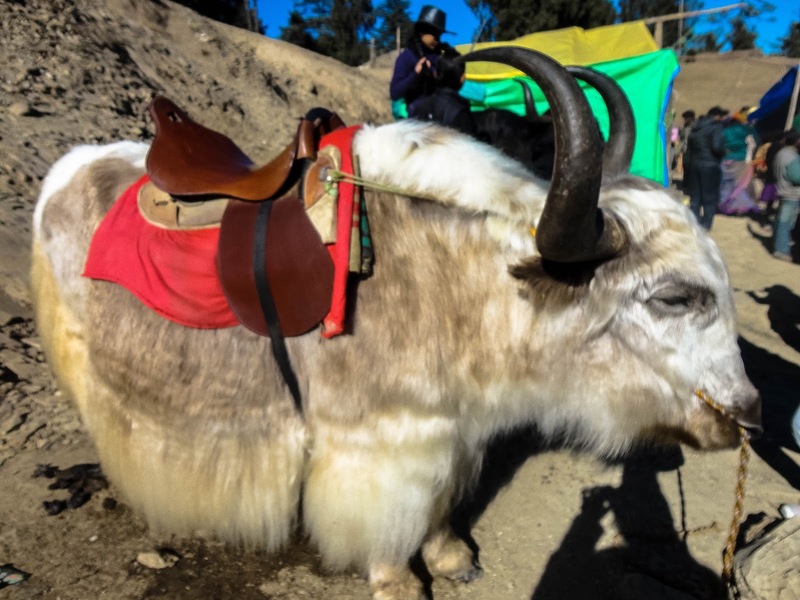 Apart from riding a horse and seeing yak, there's not much to do Kufri - so choose wisely. 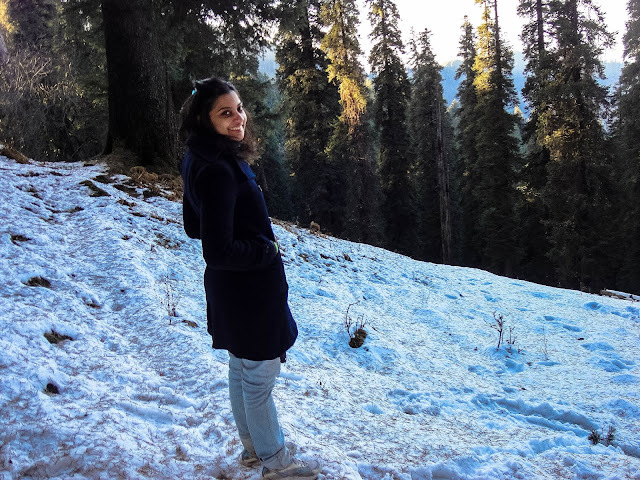 Just for the fresh and thick snow - Narkanda was an amazing experience, but if you're going in the summer, it's going to be only trees. Take a lot of woolens and a pair of thick socks - it get's really cold at night. 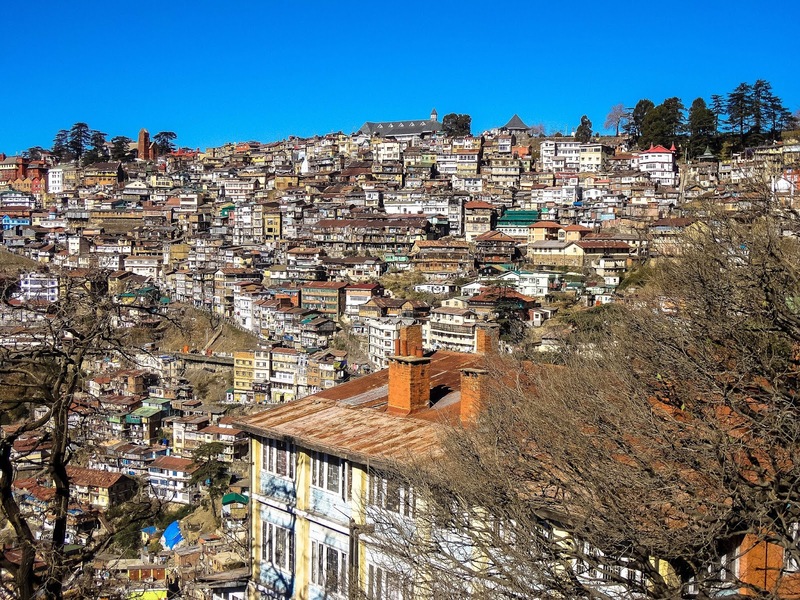 The taxi drivers and generally, the people of Shimla are relatively nice. Be cautious, but there's no need to be suspicious. We left on 24th Dec - and the three day trip cost each of us around 8k. We didn't do the touristy places - but I found this list by Lonely Planet pretty nice - in case you want to check those out too. Shimla is an amazing place...great to see your lovely pics! Cool sights captured. 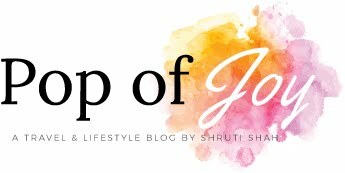 I have crossed Shimla on my way to Kufri., never halted there. I think I must plan. Oh you must ! Also visit Narkanda - it turns completely white in the winter months..
Great post and beautiful pics.. Cheers! This is such a wonderful experience. My sister and I want to go to Shimla too. But we are skeptical about the safety and ofcourse the cost. I didn't know it would be over in 8k per person. 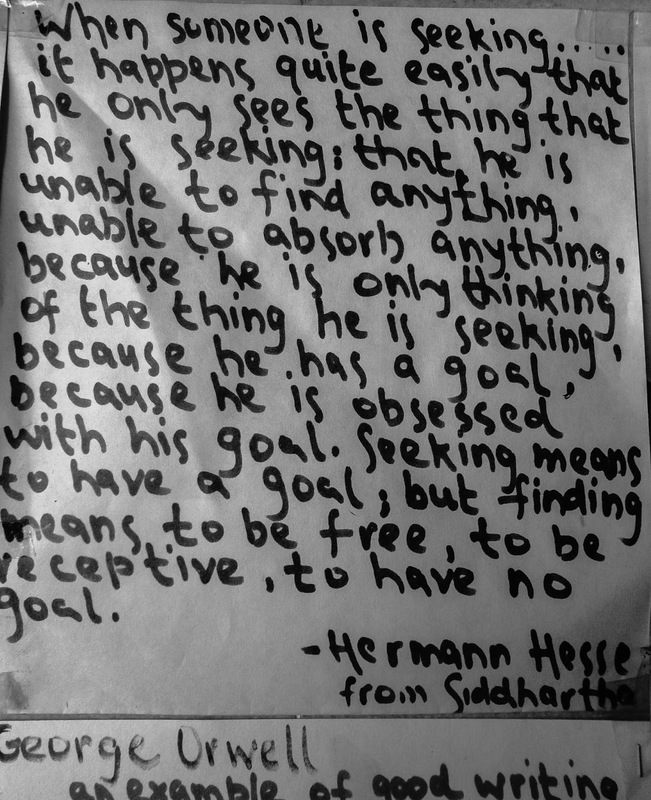 Thats good. Did you go with a team or did you go by urselves? I have been much farther from Kerala. So, I am really skeptical. 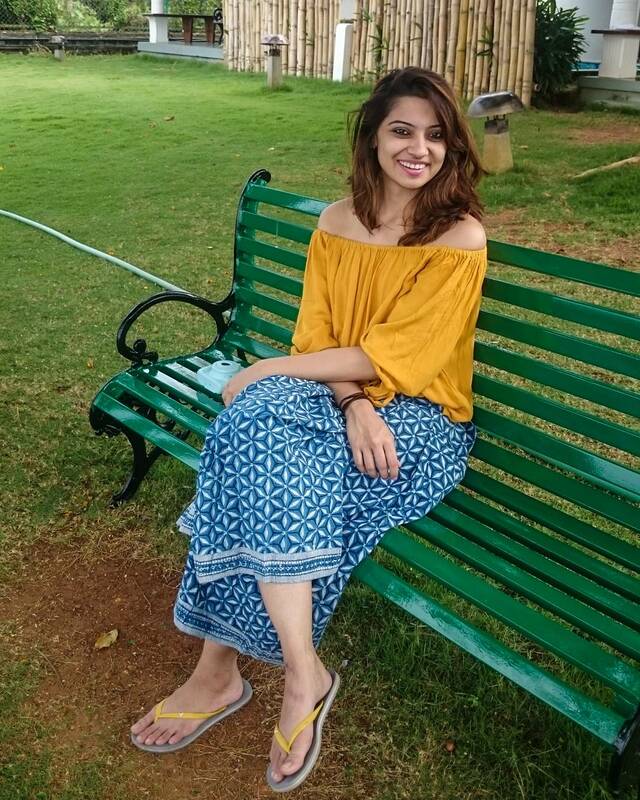 Hey Ranjini, to be honest, Shimla is rather safe. 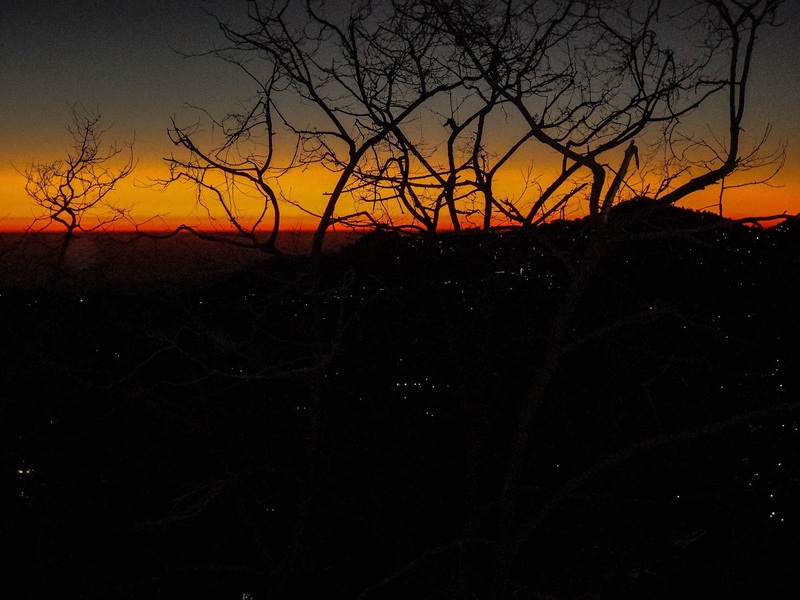 There are a few other destinations that come to my mind - Mcleodganj to begin with. And 8k is a decent budget; but you'll have to factor in the cost to Delhi also. And there's always a first time :) Have fun !! Let me know how it goes. Let me know if you need help planning.